The exterior fits with historic charm of the neighborhood. The 2,000-square-foot 1950s-era building was originally planned for use by four individual dentists plus a small space for an additional tenant. 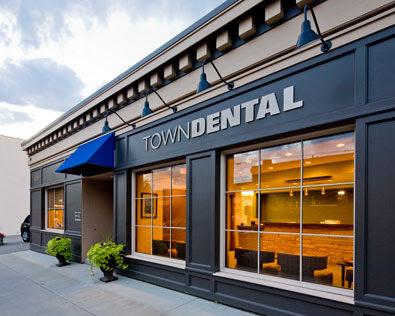 Town Dental acquired the whole building to serve their growing practice but was still tight for space and badly needed renovations due to the inefficient layout and aging construction. Since the interior of the building was being remodeled, the client wanted an updated exterior that better fit the historic feel of the neighborhood. The Foundation created a more efficient space by expanding the clinic into the whole building. This gave Town Dental more space, but the real change came with the new, efficient overall design. The interior is a blend of retro and seaside modern with blues, greens, grays and tans throughout the office. Elegant, curving limestone at the reception counter is framed by delicate blue-gray glass tiles. The reception desk is framed by glass tile. 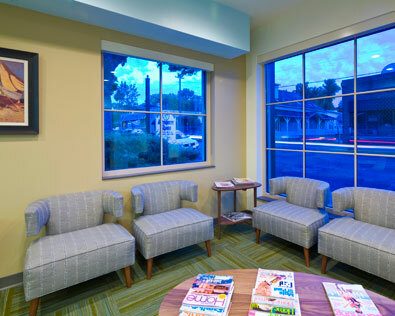 Soothing colors and carefully selected furnishings create a calming environment for patients to wait. Large windows allow for a bright and open atmosphere. The waiting area is a calming environment. 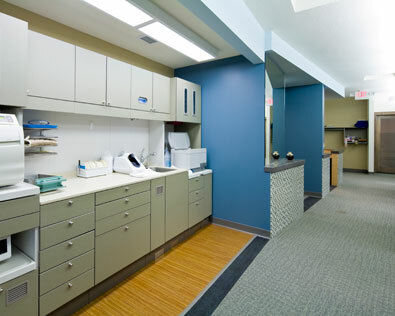 The A-dec sterilization center increased the efficient use of space by remaining open to the main hallway. 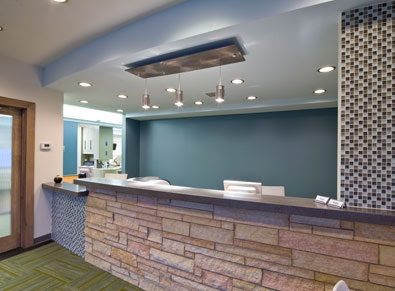 Every facet of the clinic design enhances functionality and maximizes the clinic’s space. The A-dec sterilization center helps the dental team be more efficient. The Foundation helped the clinic to follow the city’s historic requirements throughout the project and in the process designed a beautifully updated and expanded clinic that further reflects the historical charm of the city. Take a photo tour this clinic.